These terms and conditions apply to your use of this internet site www.graceclubtravel.com.au. By using this Site you agree to be bound by these terms and conditions. 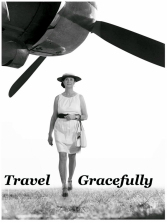 "Grace Club Travel", means I / we hold a NSW Travel Agents Licence 2TA 09448, and is a member of the Travel Compensation Fund Member 10363.
terms and conditions that will apply when making a booking through this Site. I / we attempt to keep the Content of the Site up to date. However, some of the Content is supplied to me by third party providers. Although I / we take reasonable steps to confirm its accuracy and currency, I / we do not warrant the accuracy or currency of the Content on their behalf. Any travel services advertised on this Site including prices are subject to availability at the time of booking. Any personal information I / we collect from you will be for booking purposes only. I / we may disclose your personal information to our retailers and to any service providers who provide services in connection with Grace Club Travel. This information is only provided if it helps to be of better service to you.and Grace Club Travel respects your privacy and will not sell any of this information to third parties. Grace Club Travel respects your internet security. I / we have not reviewed all of the sites, downloads, plug-ins, features or advertisements linked to this Site and not responsible for the content or accuracy of any off-site pages or any other sites linked to this Site (including without limitation sites linked through advertisements or through any search engines). The inclusion of any link does not imply that I / we endorse the linked site, and you use the links at your own risk. I / we do not accept any responsibility or liability for any claims arising out of your use of these links or of the descriptions or information supplied to us by third parties for inclusion on this Site. Your correspondence or dealings with, or participation in promotions of, advertisers on the Site are solely between you and such advertisers. I / we will not be liable or responsible for any loss or damage of any sort incurred as the result of any such dealings or as the result of the presence of advertisements on the Site. By using cookies, web sites can track information about a visitor's use of the Site and provide customised content. Most web browsers can be configured to notify the user when a cookie is received, allowing you to either accept or reject it. You may also inspect the cookies stored by your web browserand remove any that you do not want. You use the Site at your own risk and everything on the Site is provided to you ‘as is’ and ‘as available’ without warranty or condition of any kind, either expressed or implied, including, but not limited to, any implied warranties or merchantability, fitness for a particular purpose, or non-infringement. If a jurisdiction does not allow the exclusion of implied warranties but allows limitations of a certain maximum extent then I limit my warranties to that extent. To the extent permitted by law I / we will not be liable for any direct, incidental, consequential or indirect damages, loss or corruption of data, loss of profits, goodwill, bargain or opportunity or loss of anticipated savings resulting from your access to, or use of, or inability to use the Site and the Content, whether based on warranty, contract, tort, negligence or any other legal theory, and whether or not I / we know of the possibility of such damage. I / we may revise these terms and conditions from time to time by updating this posting. The revised terms will take effect when they are posted. If any part of these terms and conditions is held to be unenforceable, the unenforceable part must be given effect to the greatest extent possible and the remainder will remain in full force and effect. Trade marks (whether registered or unregistered) and logos must not be used or modified in any way without obtaining the prior written consent of Grace Club Travel and The Grace Club. This Privacy Statement applies to your use of The Grace Club Travel website. I / we recognise that your privacy is important to you. I / we have a firm commitment to privacy in terms of the Privacy Amendment (Private Sector) Act 2000, which came into effect in December 2001. Any employees and data processors, who have access to, and are associated with the processing of personal data, are obliged to respect the confidentiality of our visitors' personal data. The main way I / we would collect personal information from you, is if you used my site to register for email newsletter sign up, or to submit booking requests for various cruises. Our website records other information as well. This information is used to improve the structure and performance of the site and to provide users with an improved service. Whenever a page is requested from our web server, we record the time, date and URL of the request, along with information on the browser software that is being used, and the address of the referring site or email message. For the purposes set out above (under "Use and Disclosure of Personal Information") we may disclose your personal information to organisations outside Grace ClubTravel. Where appropriate, these disclosures are subject to privacy and confidentiality protections. Grace Club Travel does not and will not rent, sell or share my membership database or membership mailing list including that of The Grace Club. I / we will not disclose your personal information to any government agency unless you consent or in other circumstances where such disclosure is required or authorised by law. This site contains links to other sites. Grace Club Travel is not responsible for the privacy practices or the content of other such web sites or Affiliates. When you provide personal information to me via the Internet, I / we rely on the accuracy of that information. To assist with ensuring accuracy, please contact us if any of the details you have provided change. You can easily edit or delete the personal information you provide to us on our website, but to do so, you will need to log in as a registered user, using your username and password. If you wish to access or modify personal information which you have provided via my website, but cannot access that information at my website, please send an email using the Contact page. Grace Club Travel does not collect sensitive information such as your racial or ethnic origin, political opinions or religious beliefs. Please check this statement periodically for changes. Your continued use of the Grace Club Travel website following the posting of changes to these terms will mean you accept those changes. If you would like further information regarding this policy, please contact us. Commissioner's web site at http://www.privacy.gov.au/.